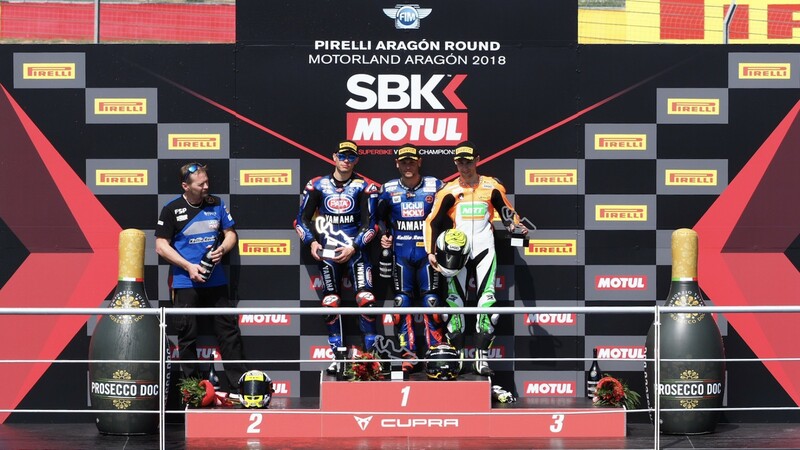 Third time’s the charm for Sandro Cortese (Kallio Racing), as the German made good of his first FIM Supersport World Championship Superpole to grab his first win. 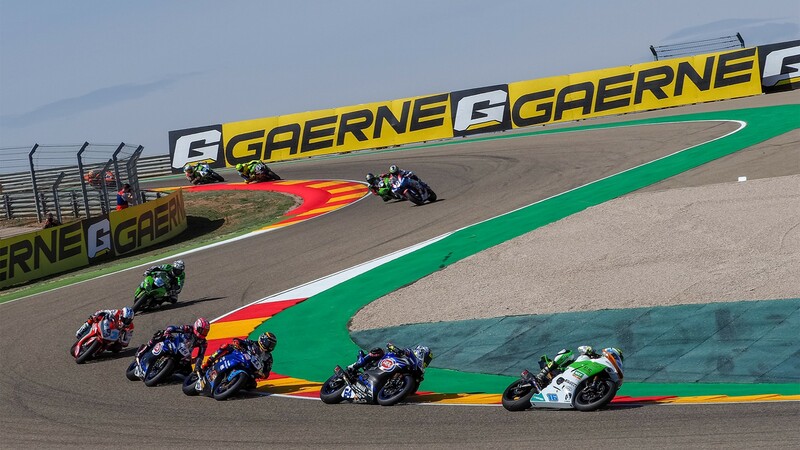 Only three races into his World Supersport career, he led his Yamaha back into first place after a poor start and dominated the latter two-thirds of the race, with only Federico Caricasulo (GRT Yamaha Official WorldSSP Team) endangering the German’s lead. This is the first victory for Cortese since 2012, when he met the checkered flag in the penultimate race of his Moto3™ championship-winning season. 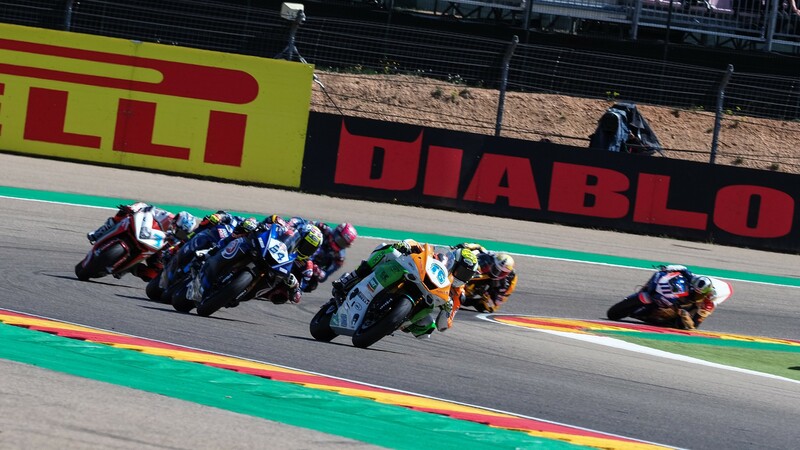 A huge win and a return to the podium, after missing out at the Chang International Circuit, moving now just four points away from defending champion Lucas Mahias (GRT Yamaha Official WorldSSP Team) who could only come in fourth. The Frenchman couldn’t keep up with the leading pace from the halfway mark and finished 5 seconds off the podium places. Teammate Caricasulo was the only rider to give Cortese problems in the latter stages of the race, coming as close as two tenths of a second off the lead. Unable to make a pass, he eventually had to defend his position in the final laps from Jules Cluzel (NRT), who completed the podium. 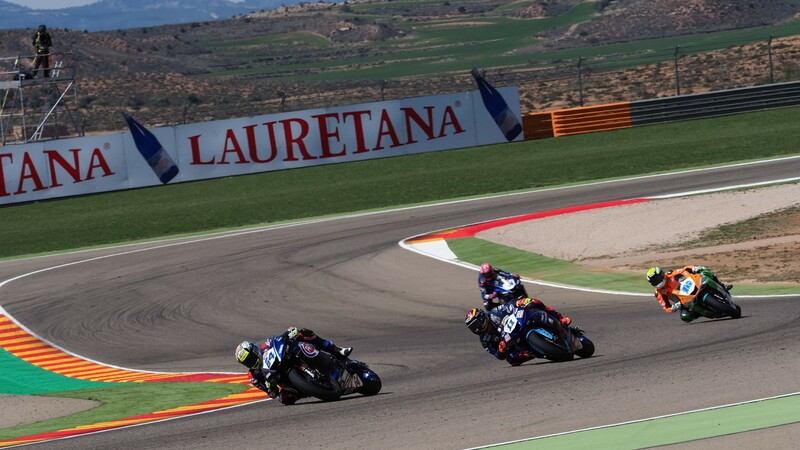 Far behind the leading four, an electric battle for fifth position took place around the final laps at MotorLand Aragon, with the British pair of Kyle Smith (GEMAR Team Lorini) and Luke Stapleford (Profile Racing) just edging ahead of Sheridan Morais (Kawasaki Puccetti Racing), returning to WorldSSP this weekend. Previous championship leader and Thai race-winner Randy Krummenacher (BARDAHL Evan Bros. WorldSSP Team) went down on Lap 4 and fell back to 27th position. The Swiss did manage to fight back to 11th, minimising damages and scoring what could end up being vital points at the year-end. Raffaele de Rosa (MV Agusta Reparto Corse by Vamag) made a fantastic start, dashing off the line from the second row straight into first place by the first turn. The Italian was performing admirably with the MV Agusta amongst the front-group Yamahas, fighting for his first podium finish of the season, but an unfortunate technical issue put his race to rest halfway through. On the same lap, Ayrton Badovini (MV Agusta Reparto Corse by Vamag) crashed on Turn 7, completing a disastrous race for the MV Agustas. 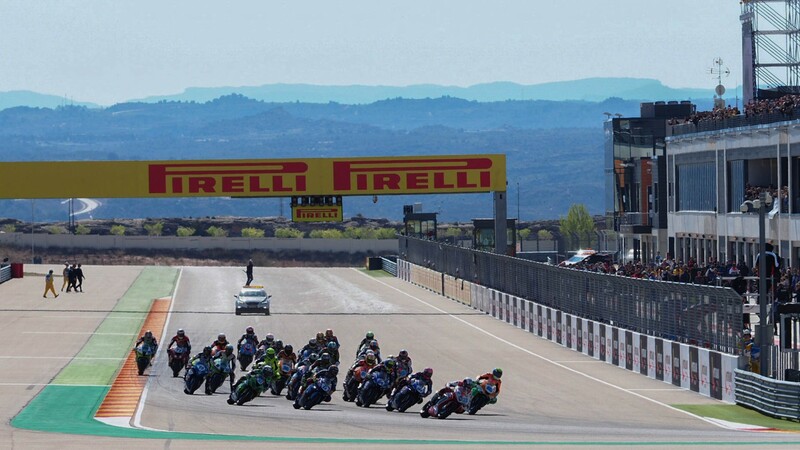 Completing the top ten, it was Niki Tuuli (CIA Landlord Insurance Honda) in eighth, just creeping ahead of Anthony West (EAB antwest Racing) in ninth, with Rob Hartog (Team Hartog – Against Cancer) making in in tenth place and as the first FIM Europe Supersport Cup rider. 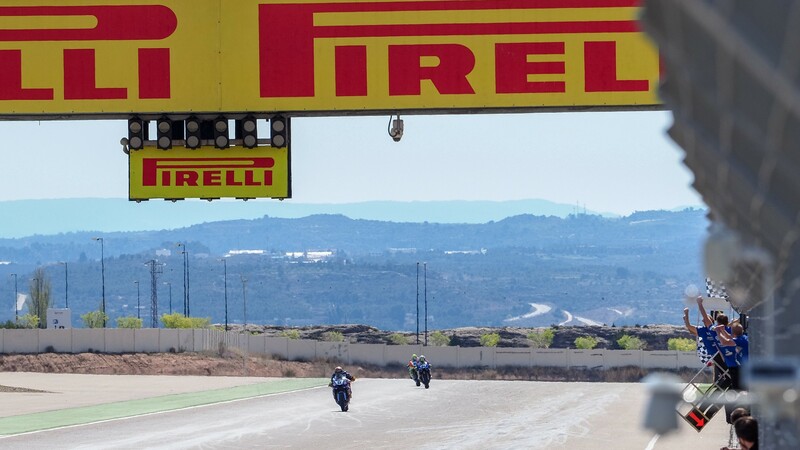 WorldSSP action returns next week, when the FIM Supersport World Championship moves up to the legendary TT Assen. 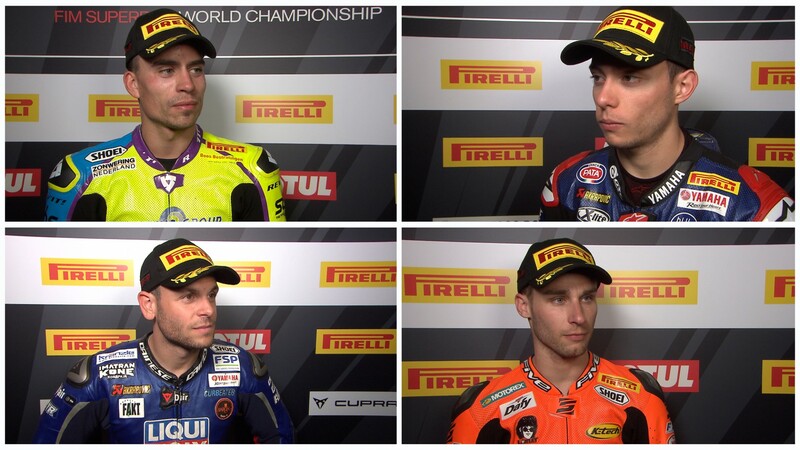 Watch the Free Practices starting Friday, April 20th, and follow all the post-Aragon reactions, thanks to the WorldSBK VideoPass.